AxioMed, LLC (http://www.axiomed.com) announced today five key statistics from clinical studies about the AxioMed Freedom® total disc replacement technology. The following data is gathered from European clinical studies published in peer-reviewed medical journals and Orthopedic Meeting Proceedings. 3.There have been no device failures noted in the clinical literature for either the Freedom Cervical or Lumbar Discs at the time of this publication. 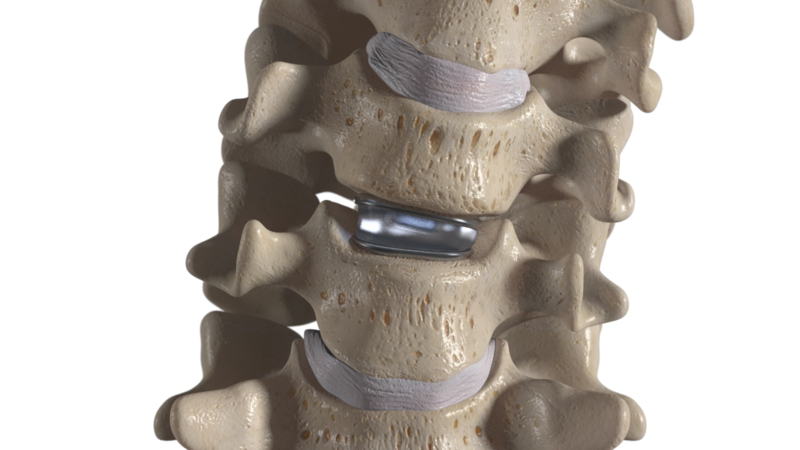 The Freedom Discs have been implanted in hundreds of patients globally. Founded in 2001, AxioMed (http://www.axiomed.com) began its journey of exhaustively proving the Freedom® Disc, a total disc replacement technology, through research, development and testing. In 2014, KICVentures recognized the disc’s enormous potential and acquired the company into their healthcare portfolio. AxioMed owns an exclusive viscoelastic material license on its proprietary Freedom Disc technology. 1. Rischke B, Ross RS, Jollenbeck BA, Zimmers KB, Defibaugh ND. Pre-Clinical and Clinical Experience with a Viscoelastic Total Disc Replacement. SAS Journal 5 (4); pp. 97-107, 2011. 4. Rischke B, Zimmers K, Smith E. Viscoelastic Disc Arthroplasty Provides Superior Back and Leg Pain Relief in Patients with Lumbar Disc Degeneration Compared to Anterior Lumbar Interbody Fusion. International Journal of Spine Surgery 9; July 2015. 6. Rischke B, Kammermeier V, Runkel M, Zimmers K, Kuras J. Clinical Outcomes for a Viscoelastic Total Disc Replacement Compared to Other Total Disc Replacements in the SWISSspine Registry. Presented at the International Society for the Advancement of Spine Surgery (ISASS) Annual Meeting, Barcelona, Spain, March 2012. 7. Ibid. 8. Ibid. 9. Ibid. 10. Newton Ede M, Ross ERS, Rischke B, Joellenbeck B, Hipp J, Zimmers K. An Association Between the Center of Rotation and Clinical Outcome in Patients Implanted with a Viscoelastic Total Disc Replacement. Proceedings of the British Orthopaedic Association Congress, 2011.